PSS took production to another level for one the largest, lavish, most talked about wedding receptions to be put into the Great Room at the prestigious Grosvenor House for a long time. 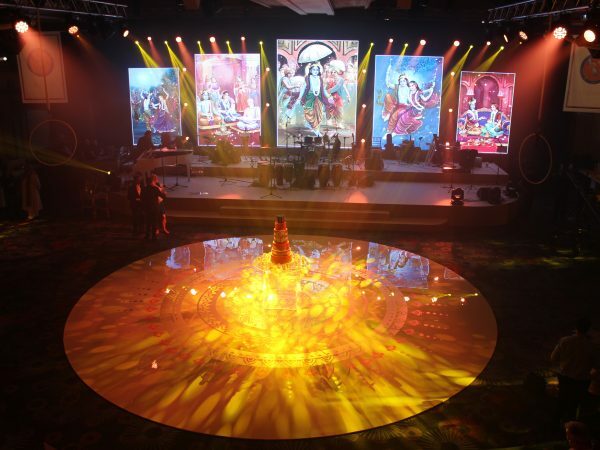 As well as providing sound, lighting, huge floor to ceiling LED Screen, we also provided a bespoke rangoli dance floor, multi level performance stage, a bespoke bar and all the bespoke food stations. Working alongside Madhus Official, Jay and I, Zenith Video, it was truly a remarkable event with a lot of positive feedback for one of the most humblest couples we have worked with.